Amazing renderings and animations. In minutes. 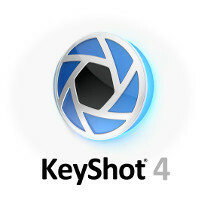 KeyShot is an entirely CPU based standalone 3D rendering and animation system for 3D data. It has been designed to take the complexity out of rendering realistic images. KeyShot is used by designers, engineers and CG professionals worldwide to quickly and easily create realistic images and animations of their 3D models.